On a military base in post-Taliban Afghanistan, American authorities have just imprisoned a teenaged girl found in a bombed-out school. 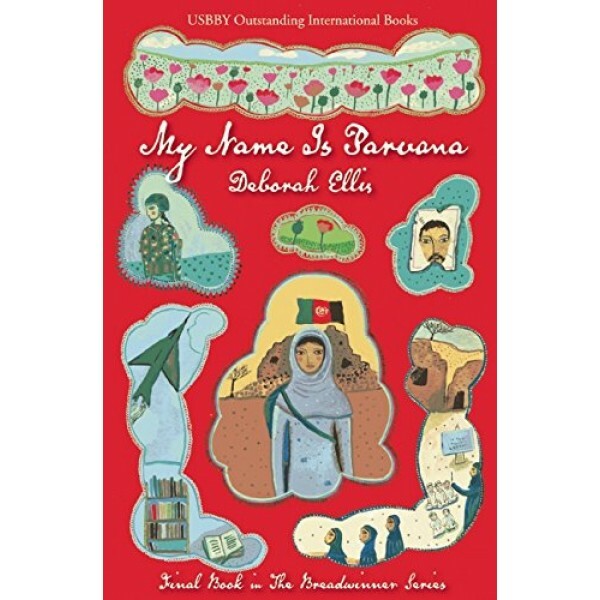 The army major thinks she may be a terrorist working with the Taliban.... The only clue to her identity is a tattered shoulder bag containing papers that refer to people named Shauzia, Nooria, Leila, Asif, Hassan -- and Parvana. 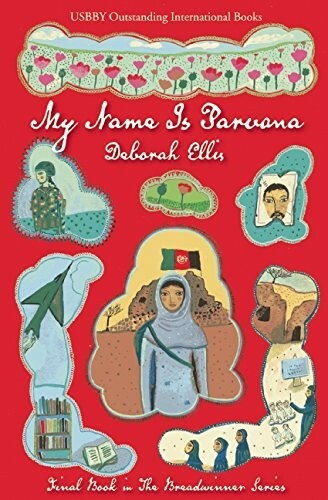 My Name Is Parvana continues the story of The Breadwinner Trilogy, which includes The Breadwinner, Parvana's Journey, and Mud City.